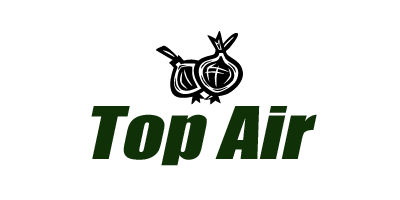 The Top Air Topper Windrower Series of harvesters continues to be a mainstay in the onion industry. The first step of the “Two Step” method of harvest, Topper Windrowers are very popular in areas where growers prefer to cure the onions in windrows after the tops are removed. 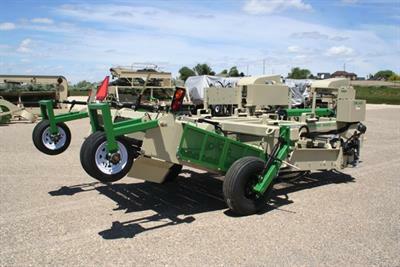 Extremely high capacity, coupled with very gentle handling make these machines capable of harvesting any type of onion. 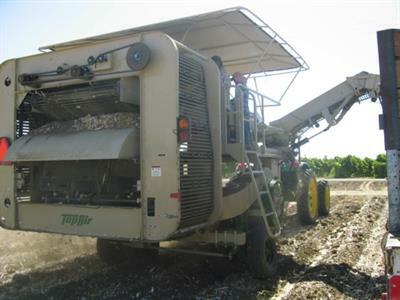 The Top Air Topper Loader Series of harvesters is currently state of the art in the onion industry. This “One Step” method is considered by many in the industry to be the best and most efficient way to harvest onions. University studies have shown improved storage quality as a result of letting the onions dry naturally and handling them only once.